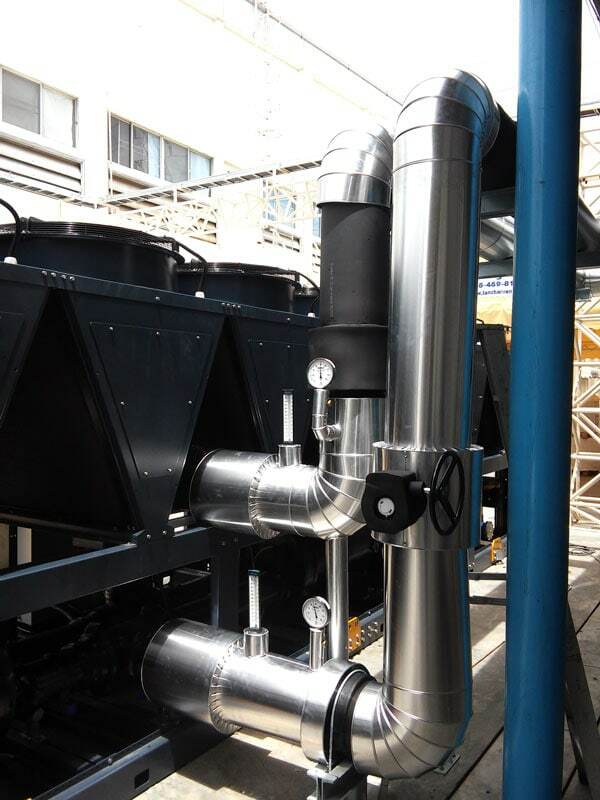 “Pacific Container Bag Co., Ltd” is the main Thai manufacturer of Flexible Intermediate Bulk Container Bag (FIBC), and their factory is located at Navanakorn Industrial Estate, around 40 km from Bangkok. 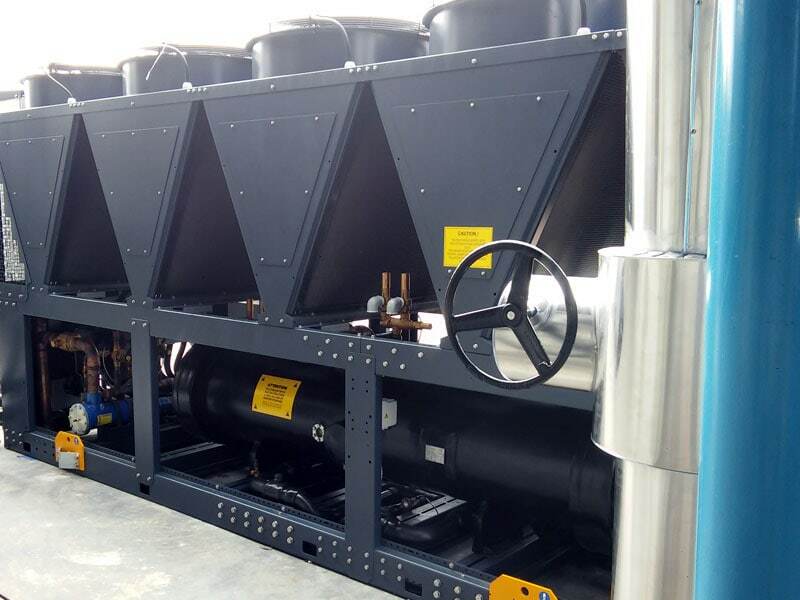 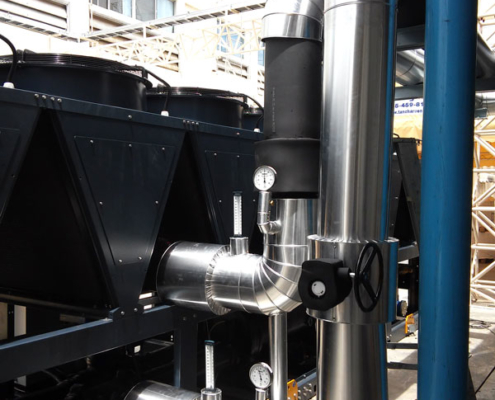 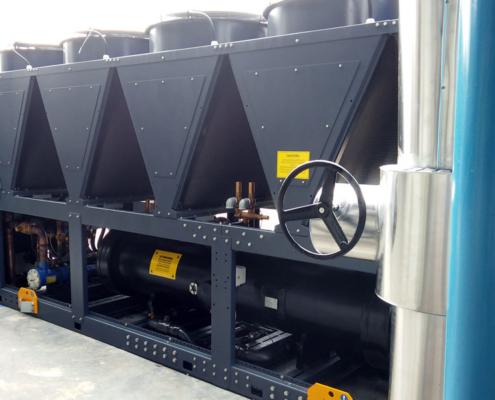 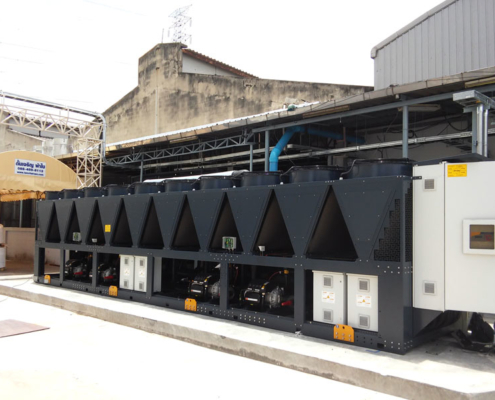 The purpose of the project was to increase energy efficiency and therefore energy savings by introducing a Turbomiser air cooled chiller and by replacing the old pipeline in the factory to allow the system to adapt to the cooling load. 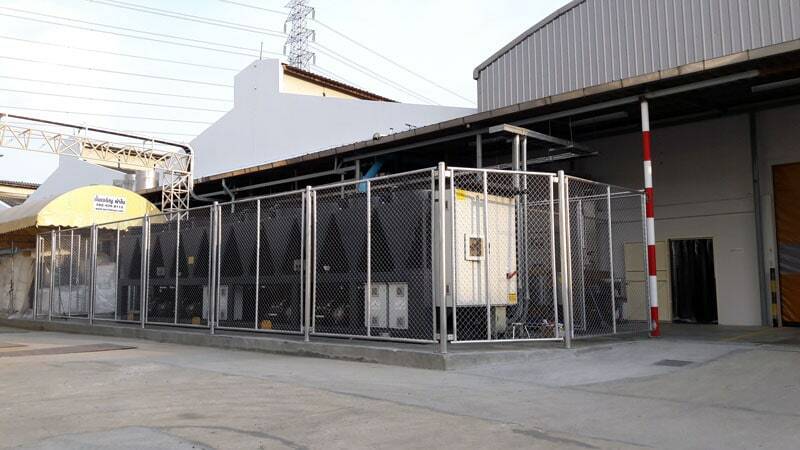 The project consisted in the upgrade of the whole process cooling system of the factory, and the replacement of the old chillers and air ventilation system. 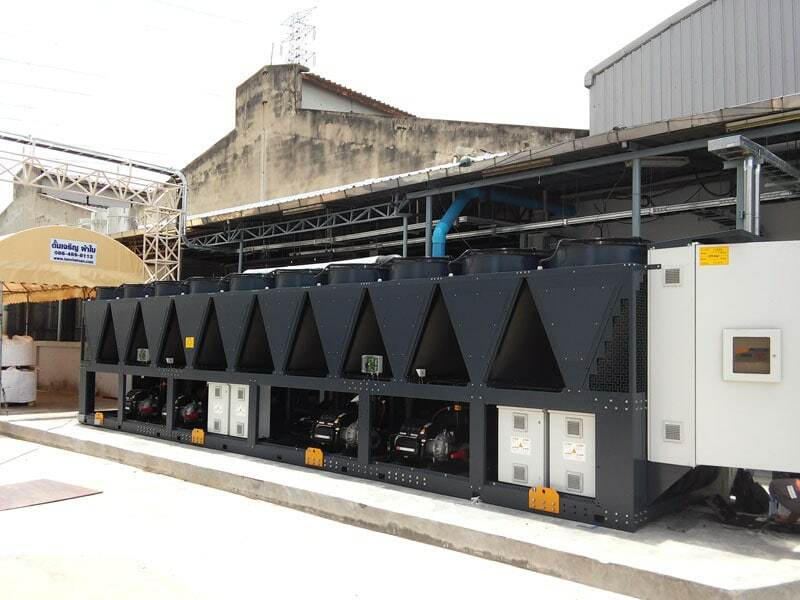 For this project we provided an air cooled Turbomiser unit for outdoor installation, with four centrifugal compressors, double refrigerant circuit and axial fans for a total 1406 kW cooling capacity (400 RT). 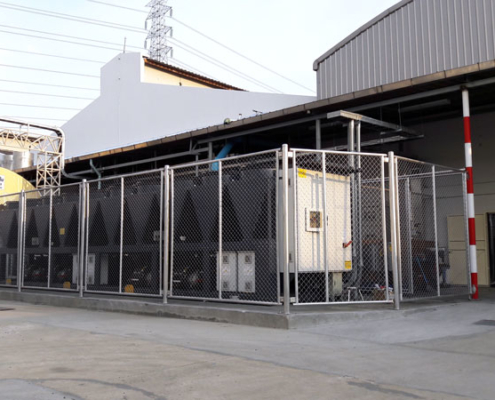 After the installation of the new Turbomiser unit, the end user reports significant reduction in energy consumption with around 25000 $ of energy saving per year (838160 Baht / 22300 €).